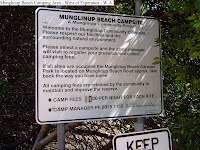 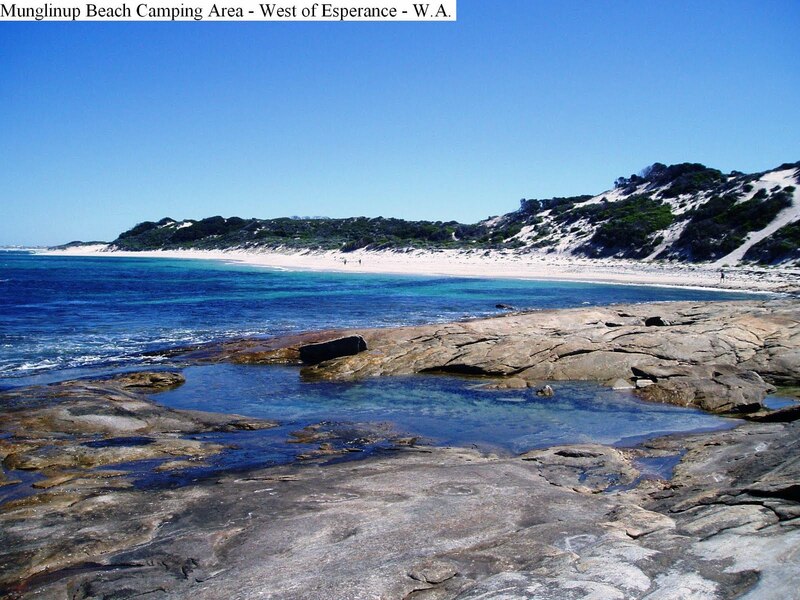 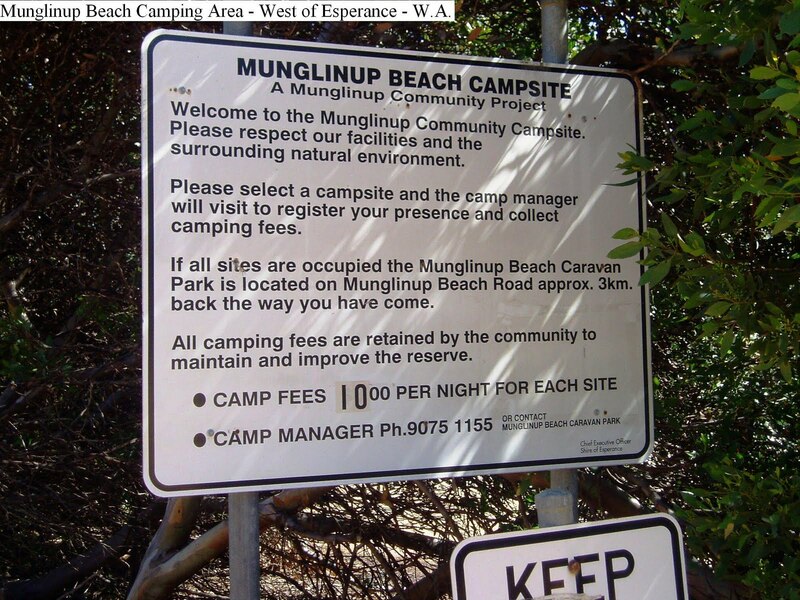 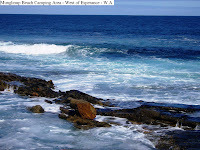 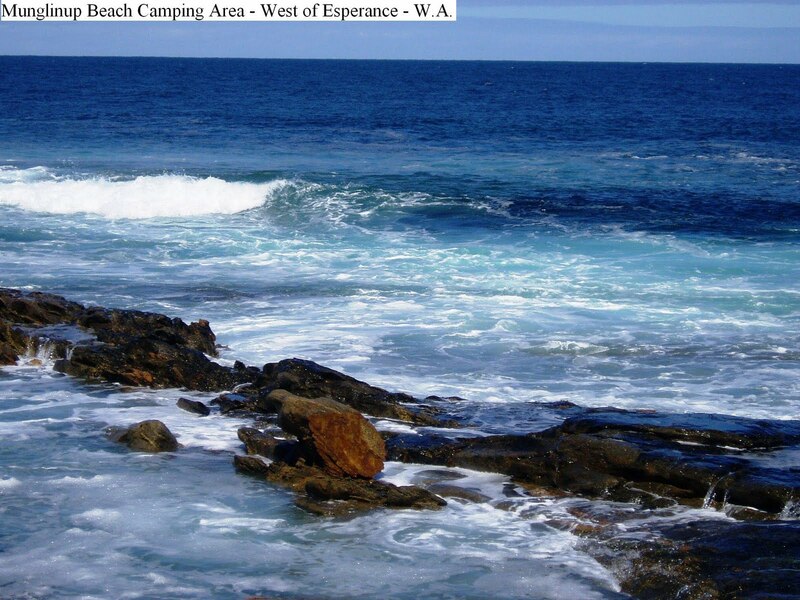 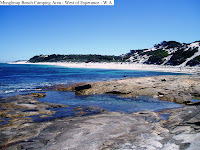 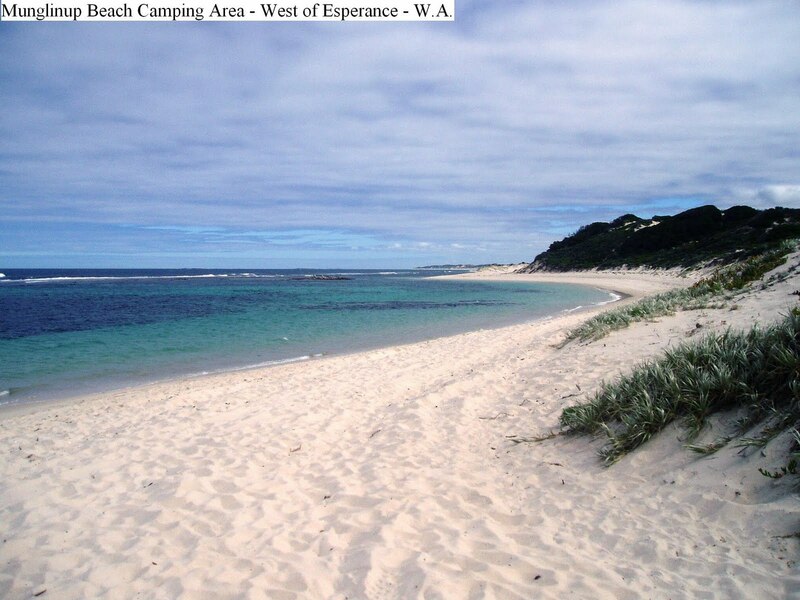 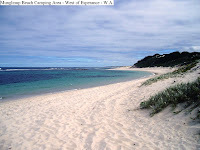 3rd April 2011 - Mungilup Beach – Located 31k South of Mungilup. 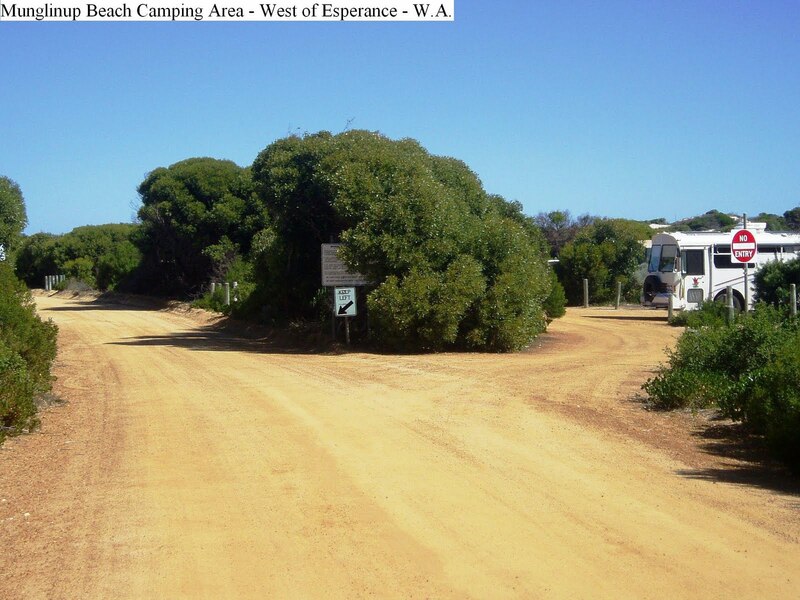 Turn South off the South Coast Highway 4k East of Munglinup onto Fuss Road for about 10k then onto Springvale Road for a further 10k then Munglingup Beach Road for 7k of reasonable dirt road. 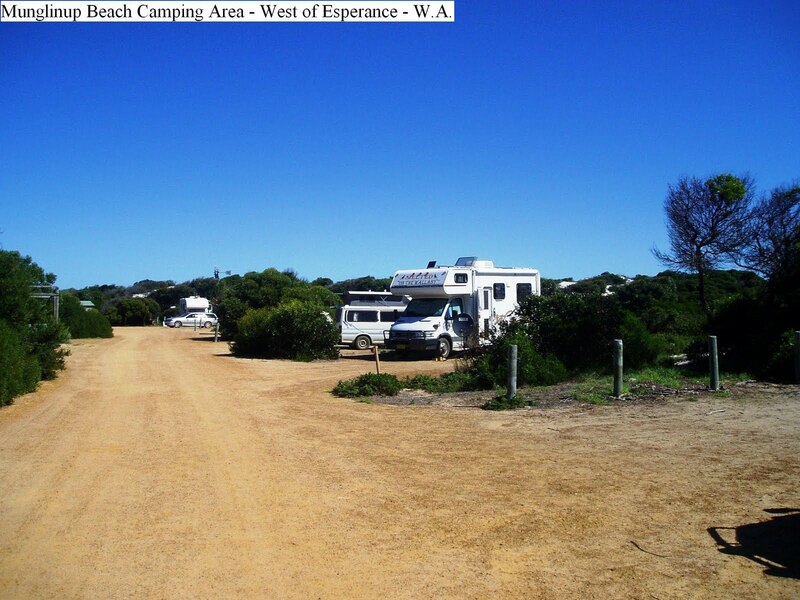 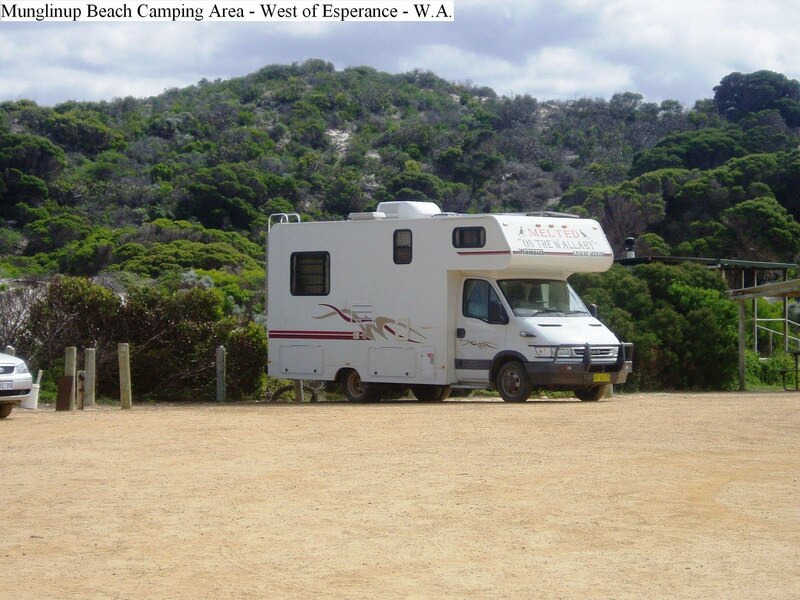 There are about 15 camp sites, mostly suitable for small caravans or camper trailers. 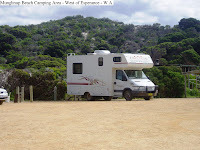 However, there are a several sites that will accommodate larger rigs. 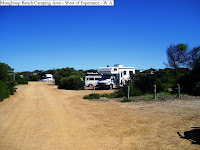 All sites are level but shade is limited. 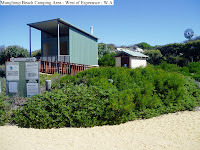 There is a shower block with cold showers, as well as two composting toilets, and a couple of taps supplying salty bore water that is only suitable for washing. 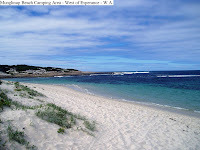 It’s a short walk to the beach that is protected by a reef and is OK for fishing and swimming.